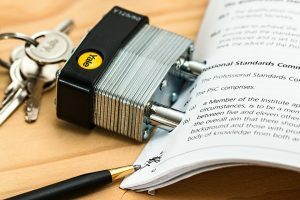 It is very important to learn about the details of the items in the Franchise Disclosure Document to avoid legal issues and profit loss in the future. So you’ve decided to buy into a franchise. Great! Chosen right, a franchise can provide you with a stable income, flexible options, and more. That is if you choose the right franchisor. One of the keys to learning if you are selecting the right one is through the Franchise Disclosure Document (FDD). ..legal disclosure document that must be given to individuals interested in buying a U.S. franchise as part of the pre-sale due diligence process. It contains information essential to potential franchisees about to make a significant investment..
As mandated by law, you will receive the Franchise Disclosure Agreement ten to fourteen days before you sign the franchise agreement. This is done to give you enough time to review everything about the franchise. Due to its sheer length (about 100 to 200 pages) and legalese terms, some people just scan through it, put it away. and only read it thoroughly when issues arise. This is why you have to be very careful with the Franchise Disclosure Agreement. You have to know what’s included, details to look for and how to ensure that everything is in order. They all discuss one thing: the franchise business. Number 1 tells you of the franchise’s history – what, where, when, why, and how. Number 2 shows the business experience of the franchisor and his or her executive team. Number 3, on the other hand, tells you if the franchise was involved in any lawsuits. Consider the number of lawsuits against the size of the franchise. A small franchise with two lawsuits is a red flag. Two lawsuits against a franchise as big as Subway is a different story, though. Has the company declared bankruptcy before? You’ll find this in number 4. Numbers 5 to 6 tackle fees: initial and ongoing fees. Be aware, however, that products and other fees are not included here. Number 7 gives you the total initial cost. Understand that this is typically non-refundable. Not to mention that your business won’t be that profitable in a year or so. Can you handle this? Consider this carefully before you release a substantial amount of money. Now jump to number 19. It answers your question, “How much am I going to get from this?” However, not all franchisors supply this vital information lest they be sued for false claims. According to QSR, candidates should know, at a minimum, the average unit volume (AUV), average overhead (rent, utilities, etc. ), and average operating costs (food, paper, labor, etc.) to help compute net operating income (NOI). If no representation is made, one might wonder the reasons why. Remember that you are buying into an already successful business model. The franchisor knows which products, services, tools and equipment are best used and typically buy these from a designated supplier. He or she might sell you these, which is legally accepted. However, the franchisor should disclose how much discount he gets from his suppliers and the profits he is getting from you. You’ll find these in items 8 and 16. Another item to consider is number 12: territory. How many franchisees are there in a certain area? Will you be given a protected territory? Item 9 shows you what your obligations will be as soon as you become a franchisee. Read this well and make sure that whatever’s stipulated in this item is also in the Franchise Agreement. If you want to find out more about the franchisor, be sure to check item 20 as it contains information on how many outlets are currently existing, how many have closed, and the names and contact numbers of current franchisees. Call them and ask for an appointment as much as possible. Ask them about the franchise, its owners, values, and culture. NOTE: This post is not in any way legal advice. Contact an attorney when you are ready to become a franchisee. You might also want to check out the DetailXPerts opportunity. You will receive support and guidance every step of the way and will be given the franchise disclosure document as soon as legally possible so you can review it with your attorney if needed.